We believe, that protecting the environment, conserving our limited resources and reducing our carbon footprint is fundamental to doing business with integrity. We are proud to incorporate award winning environmentally responsible best practices in our operations. We’re fortunate to live and work in the beautiful Pacific Northwest. Respect for nature and sound business practices are integrated to benefit the environment and the customers we serve. Reduce. Reuse. Recycle. These fundamental practices—relatively new to the popular notion of responsible corporate citizenship—have been at the core of MediCleanse operations for more than 70 years. 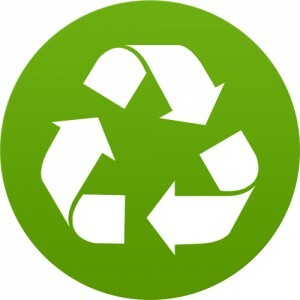 Our business is based on recycling reusable textiles. We compete directly against one-time use disposable towels, gowns, sheets and garments. The products we rent are re-used many times over, greatly reducing the amount of refuse that goes into landfills and reducing the volume of materials that must be manufactured and shipped. MediCleanse received statewide recognition for its environmental leadership by winning the Association of Washington Businesses 2012 Environmental Excellence Award for Environmental Excellence in Resource Conservation. AWB serves as both the state’s chamber of commerce and the manufacturing and technology association. The AWB’s Environmental Excellence Awards Program is a showcase for companies who successfully implement programs that demonstrate initiative in the area of environmental protection. 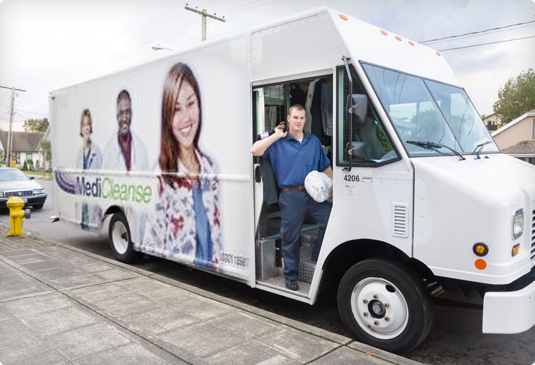 MediCleanse is honored to be one of the businesses leading in this area. A TRSA Clean Green Certification recognizes industrial laundry companies that demonstrate responsible leadership in sustainability and conservation to protect the environment. The certification acknowledges our company’s continuing commitment to best environmental practices by improving efficiencies in water and energy conservation, and its adoption of best management practices for reusing, reclaiming and recycling resources. (Laundry Environmental Stewardship Program). 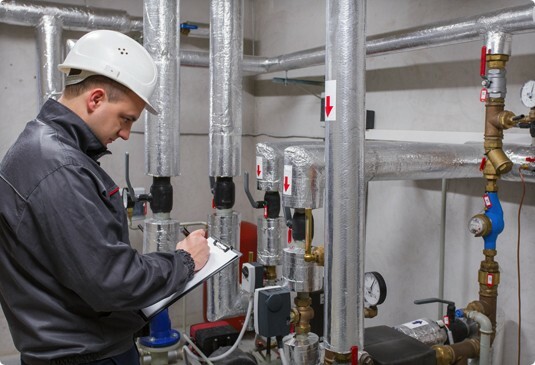 LaundryESP’s goals include quantifiable goals for reductions in water, energy, and washroom chemical usage. To implement LaundryESP member companies will work with EPA, local water treatment authorities, customers, trade groups, environmental groups, and other stakeholders to ensure its success. We are proud to be founding members of the LaundryESP (Laundry Environmental Stewardship Program). LaundryESP’s goals include quantifiable goals for reductions in water, energy, and washroom chemical usage. To implement LaundryESP member companies will work with EPA, local water treatment authorities, customers, trade groups, environmental groups, and other stakeholders to ensure its success. We are a very large consumer of water. As part of the Laundry ESP effort, we have implemented a system to recycle and reuse 35% of our water. When the water is finally discharged into the city sewer system, it is verified by rigorous testing to meet city and state standards. Additionally, heat exchangers have been installed in our waste water system to reclaim energy that would have gone down the drain. This reduces the energy needed to heat our hot water used in the washing process. We are very proud to be one of the 2012 Washington Green 50 Award Winners chosen by Seattle Business Magazine for green actions resulting in a reduction of energy use by 27% and saving 20 million gallons of water yearly. We recently took our commitment to the environment a big step further with the installation of the revolutionary new Milnor CBW washer with the Pulse Flow- the first machine of its kind in the Northwest. The new washer reduced our fresh water consumption by 60% to .8 gallon per point saving over 20 million gallons of water per year. Because there is significantly less water to heat, we use 20% less natural gas. Additionally, we use one-third less electricity because this machine produces the same output in fewer hours/ By using the heat exchanger to remove heat from out wastewater and recovering boiler steam, condensate we are able to reclaim 90% of the heat to warm incoming fresh water from 55 degrees to 87 degrees. We have made substantial annual investments in upgrading to more energy efficient washer, dryer, ironers, and tunnel finishers, reducing our overall energy consumption by 20% in the last 5 years significantly reducing our carbon footprint. Our use of handheld computers by our delivery personnel reduces paper by 80%. Our new Milnor CBW® washer with Pulse Flow – the first machine of its kind in the Northwest – is designed to save 17 to 20 million gallons of water a year! Learn more about our new addition in our Corporation News section, and watch the KING TV News coverage of it here. We use only NPE and Phosphate free detergents eliminating harmful wastewater byproducts from our wastewater stream..